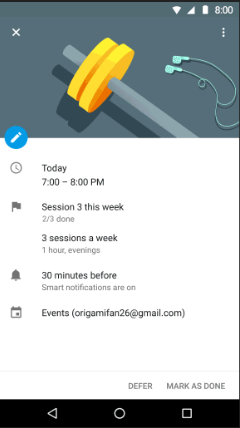 On Wednesday, the company launched a new feature called Goals in Google Calendar, its iOS and Android app. If you really want to get into meditation, for example, you can follow Goal’s prompts to find the best time to set aside a few tranquil minutes in your busy schedule. Typical goals include exercise or learning a new skill, but you can customise the feature with your latest resolutions. If you want to find some time to practice mindfulness, Goals would ask how often you need to practice and what times work best before customising your calendar for you. The feature is rolling out globally from midnight EST Wednesday, a Google spokesperson told Mashable. 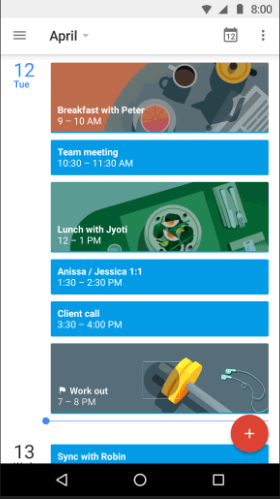 Calendar is turning 10 this year, and Goals seems like a useful way to refresh the app and give users a little taste of machine intelligence. If Goals works, Google might finally have found a way to make us all better people.